Film Movement (www.filmmovement.com), the distributor of award-winning independent and foreign films, announced that two DVD sets of films from Israel and concerning cultural and religious themes will be released in September on DVD. 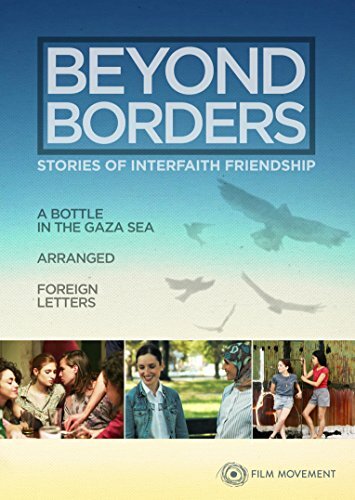 Beyond Borders will be available on September 16 and Faces of Israel will be out on September 23. The friendship between two people can lead to a better understanding of their different faiths. All three award-winning features in the box set Beyond Borders reveal how discrimination and fear of the other can be resolved through individual connections. Included in the set are A Bottle In The Gaza Sea (2013), Thierry Binisti's drama about the relationship forged against all odds by an Israeli girl in Jerusalem and a Palestinian boy in Gaza; Arranged (2007), Diane Crespo and Stefan C. Schaefer's romantic comedy about an Orthodox Jewish woman and a Muslim woman who meet as first-year teachers at a Brooklyn public school; and Foreign Letters (2012), a comedy-drama from writer-director Ela Their, set in the 1980s and centering on an Israeli girl newly relocated to the U.S. and a Vietnamese refugee who becomes her friend in this strange new land. In the last decade Israeli cinema has grown in both volume and quality, becoming a major presence at international film festivals and at the box office. The boxed set Faces of Israel collects some of the most enlightening and award-winning recent films from the country, highlighting the themes and issues that are intrinsic to its national identity. 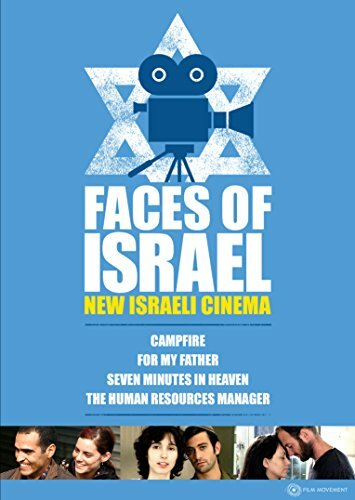 The set includes Campfire (2004), Israel's Academy Award selection for Best Foreign-Language Film, written and directed by Joseph Cedar, about a widowed mother who moves from Jerusalem to the West Bank; For My Father (2008), Dror Zahavi's drama about a suicide bomber whose deadly mission goes awry; Seven Minutes In Heaven (2008), Omri Givon's story of a young survivor of a terrorist attack; and The Human Resources Manager (2010), Eran Riklis' tragicomedy about the title executive trying to save the reputation of Israel's largest industrial bakery business.